Alcohol dependence or alcoholism requires a combination of different treatment options including detox, medication, therapy, and self-care. Naltrexone – also known under the brand names Vivitrol and Revia – is a medication given after detox from alcohol. It works on gradually decreasing the desire for alcohol. There are, however, many assumptions and criticisms around this drug such as although Naltrexone has been used to treat alcohol use disorder, it can be harmful to the liver. This article is a comprehensive guide to using naltrexone for alcoholism, its side effects and how to properly use it. It also discusses the criticisms around using Vivitrol for alcoholism. What is the Vivitrol mechanism of action for alcoholism? Is Naltrexone effective for addiction treatment? What are the side effects of Vivitrol for alcohol abuse? How to use Naltrexone properly? What are the types of Naltrexone for alcohol treatment? What Is Naltrexone For Alcohol? 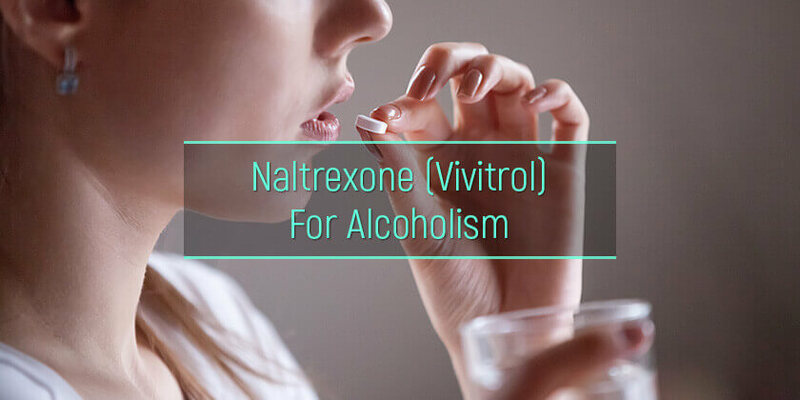 Naltrexone or Vivitrol is an alcoholism medication that blocks the effects of opiates and narcotics. It was initially popular as a drug to successfully combat opioid dependence and prevent relapses after detoxification of opioids. U.S. Food and Drug Administration (FDA) eventually approved naltrexone for alcohol dependence as a prescription injectable and oral medicine. The Vivitrol medication belongs to a class of drugs known as opiate antagonists. They directly affect the brain to prevent effects of opiates, ultimately decreasing and ending the desire to take opioids. The impact of using Naltrexone for alcohol cravings is also quite similar, and when combined with therapy and lifestyle changes, it has a high success rate of treating alcoholism. Other uses of this medication include treating obesity, symptoms of depersonalization and self-injurious behaviors. Low dose Naltrexone alcohol (LDN) is also used for treating diseases such as multiple sclerosis. To put it merely, Naltrexone alcoholism mechanism is binding itself to the opioid receptors in a person’s brain, blocking the effects of excessive alcohol intake or opiates, which suppresses the cravings for those substances. This is different from the other standard method of treatments including that causes a disulfiram reaction to alcohol, creating the effect of a hangover right after drinking alcohol, hence eventually stopping the desire to drink. It is crucial that the user’s body is already detoxified with the use of colon cleansing, dieting or fasting methods before using the Vivitrol shot for alcohol. As an opiate antagonist, it does not treat withdrawal symptoms but merely suppress the cravings. For those with high alcohol dependence, the abrupt stopping of drinking alcoholic beverages can be harmful. Therefore, this alcoholism medication has to be taken under the supervision of a physician and in combination with other treatment options to be successful. Most physicians recommend Librium taper for alcohol withdrawal to be used alongside other treatments to get successful and lasting results from Vivitrol. The effectiveness of Vivitrol and alcohol largely depends on the entire treatment program, since it is not only less effective but also can create health issues as a solitary treatment. Naltrexone alcohol Sinclair method is one of the most used and successful treatment programs for alcoholism. This particular technique is called pharmacological extinction and includes taking the medication an hour before the first alcoholic drink of the day. This method supposedly has a 78% success rate according to the C Three Foundation, a non-profit organization that advocates using multi-faceted approaches to successful addiction recovery. The mechanism behind using Vivitrol to treat alcohol addiction is by attaching itself to opioid receptors without causing the release of dopamine. Therefore, the answer to the question does Vivitrol block alcohol is yes. It blocks the effects that such beverages have on opioid receptors. Thus, many side effects are related to naltrexone alcohol withdrawal symptoms. For this reason, it is always recommended to incorporate an additional measure such as diazepam for alcohol withdrawal along with this medication. There are also more extreme side effects caused by Vivitrol alcohol interaction and even with certain drugs, not too different from Topamax and alcohol interaction. This causes the side effects to be more intense include sedation, cognitive difficulties, difficulties with memory and speaking. This is also similar to Campral side effects, which is another medication used to treat dependence and addiction to alcoholic beverages. Regardless of the method of intake (pills, injection or implant), this medication should always be taken under the ongoing supervision and guidance of a physician due to naltrexone side effects alcohol mentioned above. It is generally considered as the second step of an alcoholism treatment program, after the detoxification process to avoid any interactions and decrease of the effectiveness of the medication. It is recommended to wait at least 7-14 days after drinking to start taking Revia. The recommended naltrexone alcohol dosage differs from one person to another, according to their tolerance levels and also the level of addiction. It is also vital to not interact with the intake of Vivitrol with cough medication, diarrhea medication and certain narcotic medications such as hydrocodone. The answer to the question of what happens if you drink alcohol while taking Naltrexone is that although the drinker may not face any immediate dangerous risks, it primarily affects the progress of the treatment program. 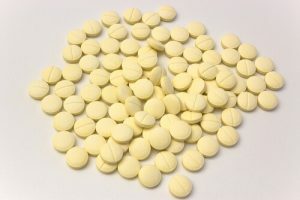 What is commonly known as stop drinking pill naltrexone is a regulated and prescribed medication is taken under the close inspection of a physician – with the typical dosage of 50 milligrams once daily. It is given as a part of a treatment program, along with regular clinic visits to ensure that the body of the user responds well to the medication. Drinking while on naltrexone pill is not allowed. This is a small pellet of the drug that is inserted under the skin to release it over time slowly. The length of the time varies according to the person and their level of addiction. Generally, it can be from 2 to 6 months, with regular visits to a clinic to check on the progress. This is currently not approved by the FDA in the US but is successfully used in European countries and Australia. Vivitrol is the most common brand for injections of this medication and is given once every month. The body has to be fully detoxified of alcohol before it is injected. Vivitrol is provided under the strict supervision of a physician, and Vivitrol shot and drinking alcohol simultaneously is strictly not allowed. This injection is not given if somebody has used any opioids within two weeks of the infusion, or if they are actively drinking. This medication is comparably lot less risky than many alcoholism treatments due to not releasing dopamine as it blocks the opioid receptors. However, there are still some criticisms surrounding the drug. One of the biggest criticisms is how it affects the liver and cause long term damages primarily if used for the long term to treat high dependence on alcoholic beverages. Another criticism is that low dose naltrexone and alcohol use can affect the efficacy of treating other health conditions such as autoimmune diseases, cancer, Alzheimer’s disease, and rheumatoid arthritis. One of the best aspects of using Naltrexone or Vivitrol as a treatment for addiction is that they can be successfully integrated into many different and multi-faceted treatment programs. Many alcohol treatment facilities recommend using Vivitrol alongside traditional treatment programs such as AA. Studies show that those who use an opiate antagonist along with therapy and follow proper alcoholism treatment protocol have better success rates in recovery than those who do not.